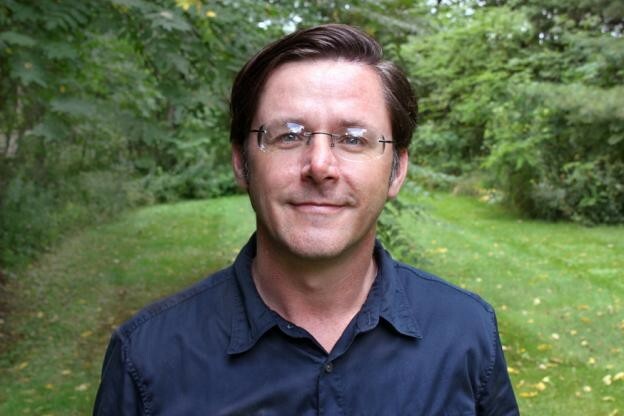 Steve Evans is a critic and scholar of poetry and poetics, and a professor at the University of Maine in Orono. He helps run the National Poetry Foundation and directs the UMaine New Writing Series, for which he’s hosted numerous visiting writers and scholars. Steve’s research often focuses on recorded poetry readings, and he’s posted many of his personal favorites on his blog The Lipstick of Noise. His in-progress Jacket2 commentary series on related issues is titled The Phonotextual Braid. You can find more of Steve’s work — including his famed Attention Span survey series — at ThirdFactory.net. I recorded Steve at his home in Orono in August 2010.